Twice a day, global prices for gold are determined by an international panel of five banks – Barclays, Deutsche Bank, HSBC, Scotia-Mocatta and Société Générale – forming a group known as the London Gold Fix. 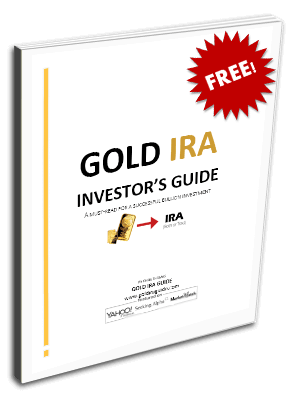 This process, also called the “Gold Fix” or even just the “fix”, has been dictating the price of the precious metal for nearly 100 years. You would be hard pressed to find a more influential institution in the world of commodities and currency trading. However, the Gold Fix has been under increased scrutiny lately, with many in the industry claiming that the process is too susceptible for collusion or manipulation. There is fear that with so few members and so little oversight, one or more of the investment banks could influence gold prices for their own profit. Some of those fears were realized this past Friday, as news broke that the UK’s Financial Conduct Authority (FCA) imposed a £26 million ($43.8 million) fine on Barclays following an investigation that will serve to question the future of the Gold Fix altogether. How does the London Gold Fix work? The composition of the 5-member panel of the Gold Fix has changed periodically since its inception in 1919. To qualify, a bank must be a member of the London Bullion Market Association and act as a “Market Maker” (company that both buys and sells gold from clients in order to provide liquidity and increase trade). Every day at 10:30am and 3:00pm, bankers from the 5-members teleconference with each other, guessing the trading volume for gold and eventually settling on the “fix”, or listed price of gold moving forward. Each bank will take turns offering an amount of gold to be bought or sold, until all banks have done so and total “net” demand for gold can be determined. If the net amount is not zero (or close to it), the chair of the panel must propose a new price for gold. After the new price is proposed, banks re-evaluate their figures and submit new offers. Once the fix is determined, the banks alert their representatives to buy and sell gold at the pre-determined price. Until 10 years ago, NM Rothschild & Sons held the chairman’s seat on the panel. When the investment bank abdicated its spot, Barclays took over. The chairman’s seat rotates annually among all members. However, Deutsche Bank left the panel earlier this year, with no substitute in place. On June 28 2012, the very day after Barclays had paid £290 million ($489.1 million) for manipulations of the LIBOR interest rates, one of the bank’s traders placed a large sell order in an attempt to avoid paying one of his clients nearly $4 million on a gold price options contract. The move also added about $1.75 million profit to the trader’s portfolio. Daniel James Plunkett, the trader in question, has been fined close to £100,000 by the FCA and banned from working in any capacity involving regulated financial activity. These actions “have allowed the financial services industry’s reputation to be sullied again,” said Tracey McDermott, director of enforcement and financial crimes for the FCA. While Mr. Plunkett’s scandalous activity appears to have been an isolated incident for the benefit of one trader, this latest development calls the entire gold price fixing process into question. Since March, there have been more than 20 class-action lawsuits filed in the United States against the London Gold Fix. German regulators have already demanded that Deutsche Bank turn over documents related for an investigation into other alleged manipulations of gold and silver prices. The FCA began officially observing the daily conferences of the London Gold Fix in April. The Commodity Futures Trading Commission (CFTC) has been looking into complaints lodged against the London Silver Fix since 2008. The Silver Fix, established in 1897, is set to be abolished in August of this year. It is not yet clear what system will replace it. Barclays is the first bank to actually receive a fine for rigging the fix for any precious metal. The implications of trouble at the Gold Fix are far reaching. The rest of 2014 is going to be very interesting to watch. Many will predict, and call for, a new way to set gold prices. Exactly what that mechanism is, and how it may affect gold portfolios, isn’t yet clear. The winds do seem to be blowing against fixing schemes for global benchmarks. China is circling above. Chinese authorities have already approached foreign banks about a new gold exchange to be located in the city of Shanghai. This Shanghai Gold Exchange is a direct challenge to the supremacy of New York (COMEX) and London (Gold Fix) in the gold markets. China’s government has been moving in on gold of late. Last year they became the world’s leading gold importer. It seems now that owning gold isn’t their only aim – they want to be able to influence the metal’s price as well. As faith falters in London, there could be a draw for large banks to participate in Shanghai instead. There is potential for an over-reaction from regulators. The global recession of 2007-08 brought investment banks under renewed regulatory controls. These only increased after the LIBOR scandals shortly thereafter. With precious metals’ market-makers now in the cross-hairs of government regulation, many banks will be understandably hesitant to jump in. What would this mean? Hard to say, but it likely wouldn’t lead to increased liquidity or understanding of the gold and silver markets. Reduced activity could cause uncertainty in the world of commodities and currency trading.